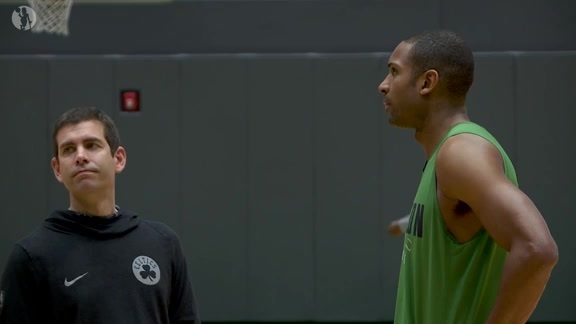 BOSTON – Ahead of Saturday night’s tip-off in Atlanta, Celtics coach Brad Stevens told the media how much his team was in need of a grind-it-out win on the road, after losing four straight and six of its last seven away from home. It’s almost as if his players were listening from around the corner inside the visitor’s locker room at State Farm Arena, as they came out and did exactly what Stevens asked. Things weren’t so hot for Boston at the start, as could be expected for a team playing on the second night of a back-to-back. The C’s surrendered 67 points to the Hawks during the first half and trailed by as many as 16 points. But during the second half, and particularly in the fourth quarter, the Celtics looked like a totally different team. Boston dug deep during the final frame of its third game in four nights and began to make defensive stops. Its offense, meanwhile, picked up the pace, as the C’s dominated the final 12 minutes, 30-16, en route to a 113-105, comeback win. It wasn’t pretty, but it sure was gritty. And that’s exactly the type of win Boston needed to boost its morale, having entered Saturday with a 2-5 mark when playing on the second night of a back-to-back. The Celtics came into the matchup knowing that they’d be in for quite a test against the Hawks. They didn’t put much stock into Atlanta’s 14-30 record, given that the Hawks had won eight of their last 15 games, the last two of which came against a pair of powerhouses in Philadelphia and Oklahoma City. “We knew that they were waiting for us and that they would be ready tonight, as they came out really aggressive early in the game,” said Al Horford, who logged 13 points, nine rebounds and two blocked shots. The only reason Boston was able to stick with Atlanta through the first half was because Kyrie Irving put its offense on his back and poured in 23 points ahead of the break. Fortunately, Irving, who finished with 32 points, didn’t have to maintain that pace throughout the entire contest, as the Celtics defense began to find its groove. During the fourth quarter, the C’s went on a pair of massive runs – a 14-2 run at the start of the frame and a 14-5 run to end the game. 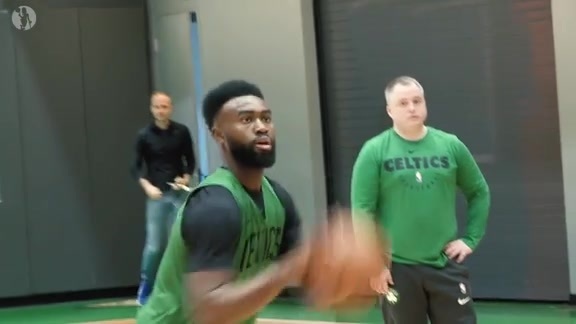 Those runs were made possible because of the defensive energy provided by both Jaylen Brown and Terry Rozier. Getting those types of efforts are hard to come by on the second night of a back-to-back, especially in the final quarter. Though, Brown and Rozier clearly were just as hungry as Stevens was for one of these types of victories. The Celtics certainly earned this road win, and it should keep their spirits high as they head back to Boston for a season-long, five-game homestand starting Monday night against Miami.